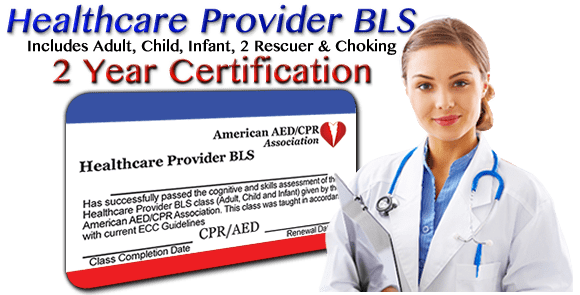 The ABC's of CPR have been modified and are now "CAB". The focus of CPR will now be on Circulation. Studies have shown that the sooner compressions are initiated the better the victim’s chance of survival. the newest guidelines emphasize giving compressions with minimal breaks for assessment and ventilations. many of the changes do not apply to professional level courses like this. Lay-Rescuers will no longer check for breathing or circulation. There have also been changes in the rate and depth of compressions. All updates are included in this Healthcare Provider level course. When you observe the victim, the first thing to do is determine if he or she is conscious. If victim is alert but experiencing possible signs and syptoms of a heart attack, tell the victim to lay down or sit quietly and call 911 To do this simply shake the victim and ask loudly; “Are you Okay?” Look, Listen and Feel for signs of normal breathing. Ignore agonal/gasping breaths. 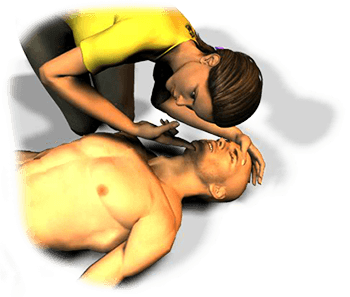 If no response and the victim is not breathing, act immediately. If you are alone with no mobile phone, leave the victim to activate the emergency response system and get the AED (if available) before returning to your victim and beginning CPR as quickly as possible. If you are not alone have someone else activate EMS immediately. Single someone out and instruct him or her to “CALL 911, tell them we have an unconscious victim and come back. Do you understand?” If they do not respond, be sure to send someone else.